For more than twenty-five years, The Best American Sports Writing has built a solid reputation by showcasing the greatest sports journalism of the previous year, culled from hundreds of national, regional, and specialty print and digital publications. Each year, the series editor and guest editor curate a truly exceptional collection. 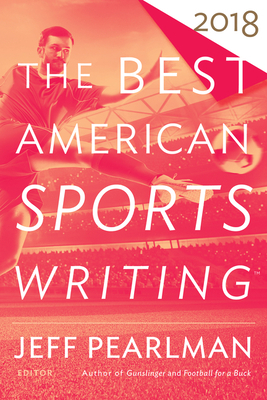 The only shared traits among all these diverse styles, voices, and stories are the extraordinarily high caliber of writing, and the pure passion they tap into that can only come from sports. JEFF PEARLMAN is the New York Times best-selling author of eight books, including Football for a Buck,The Bad Guys Won!, Boys Will Be Boys, Showtime, Sweetness and Gunslinger. He lives in Southern California with his wife Catherine and children, Casey and Emmett. He is the host of the Two Writers Slinging Yang podcast and blogs regularly at jeffpearlman.com.